Our boots are built to last using the finest materials available. They are re-soleable and can even be machine washed if desired. 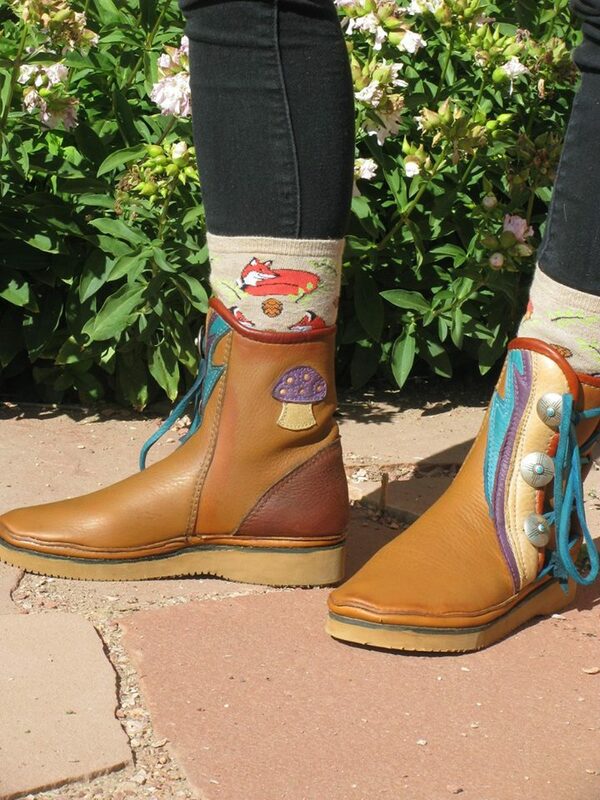 Through all the ups and downs of life, these boots will take you there and back again. Our custom-fit footwear begins with measurements. We trace both feet then tape over a sock to make a soft cast. We take this to our studio and pattern a cardboard template in the shape of the customer’s foot and leg which is the basis for making a pair of leather boots which are literally a second skin.